Work environments, as well as homes and businesses, often require that people spend a majority of their time indoors. As a result, individual’s long-term health and comfort are largely dependent upon indoor air quality testing. Businesses are increasingly interested in air quality monitoring systems to keep an eye on the conditions that maximize worker productivity and save energy. To meet these needs, TSI manufactures a line of effective indoor air quality (IAQ) instruments known for their easy use, consistency and reliability. 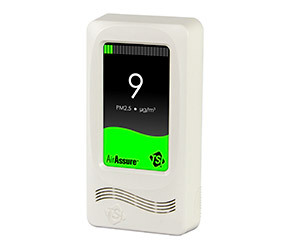 TSI provides a full line of indoor air quality monitoring equipment that gauge temperature, humidity (percent RH, wet-bulb, dew point), outdoor air calculations, carbon dioxide, carbon monoxide and airborne particles. These factors are some of the primary components that help measure occupant thermal comfort and assure a healthy indoor environment. Our equipment is known for uncompromising accuracy and reliability. We have designed our instruments for easy operation with a full range of advanced capabilities, such as data logging and statistical analysis. Our systems have positive impacts in the countless fields where air quality is a concern. Contact TSI to learn more about indoor air quality monitors, HVAC testing equipment and other indoor air quality equipment. We can help you maintain a safe, healthy and energy efficient workplace.